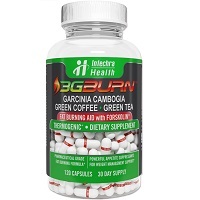 3G BURN is a nonprescription weight loss pill that has been developed to provide a natural alternative to some of the top dieting support supplements. This product is manufactured by Intechra Health Inc., which has been producing a handful of core weight loss dieting support products for over a decade and that has more recently added other wellness products to its offerings. The 3G BURN formula is made up of all-natural energy boosters, focus enhancers and thermogenic ingredients that create a natural tri-burn complex. The goal is to provide dieters with the support they need in order to more easily pursue their goals, without having to resort to synthetic substances. That said, according to the marketing for this product, just because the formula is all natural, it doesn’t mean any sacrifices are made in terms of quality. 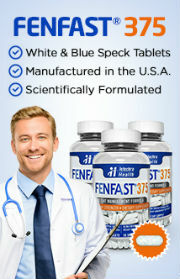 The 3G BURN diet pill, like all Intechra Health products, is manufactured in a facility in the United States that adheres to rigorous standards for safety and quality. This ensures that customers can be confident that any product they by will meet or exceed their quality expectations. These white capsules with a vibrant red band are made of a number of ingredients. Each of the substances within the 3G BURN capsules have been clinically studied and were selected to support a dieter’s use of healthy weight loss strategies. At the time of the writing of this review, those ingredients consisted of: Garcinia Cambogia Fruit Extract, Green Coffee Bean Extract, Caffeine, Forskohlii Root Extract, and Green Tea Leaf Extract. Every one of those substances has undergone clinical scrutiny in order to best understand its effects and the way it functions. As a result, this proprietary formula provides dieters with solid natural support through energy and focus boosting, metabolism maintenance and thermogenics. They are meant to be used along with a healthy weight loss strategy that includes both nutritious, calorie-controlled eating and regular fitness appropriate exercise. 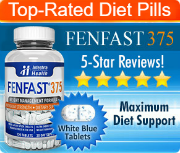 As such, this product is appropriate for healthy adults regardless of whether they are following a diet with the purpose of getting in shape, losing weight or maintaining a goal that was already been achieved, this diet pill is there to support them along every step of the way. To be sure that this is the ideal option, it’s always a good idea to speak with a health care provider. This can also help to fine tune the weight management strategy that will be followed.